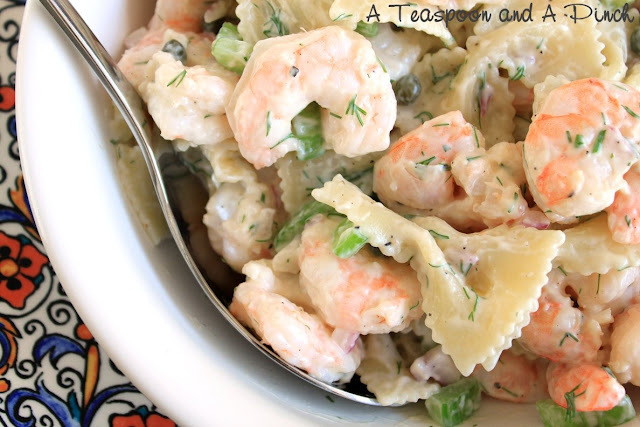 Ok, I'm about to share some of my favorite recipes with you here. Favorite. 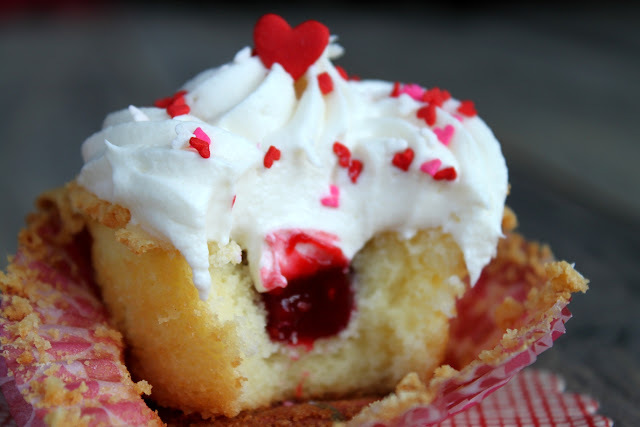 This little cupcake was dreamt up when a friend and I were testing recipes for her wedding. And these babies made their debut at her wedding reception. They're that good. You start with a Pound Cake Cupcake. 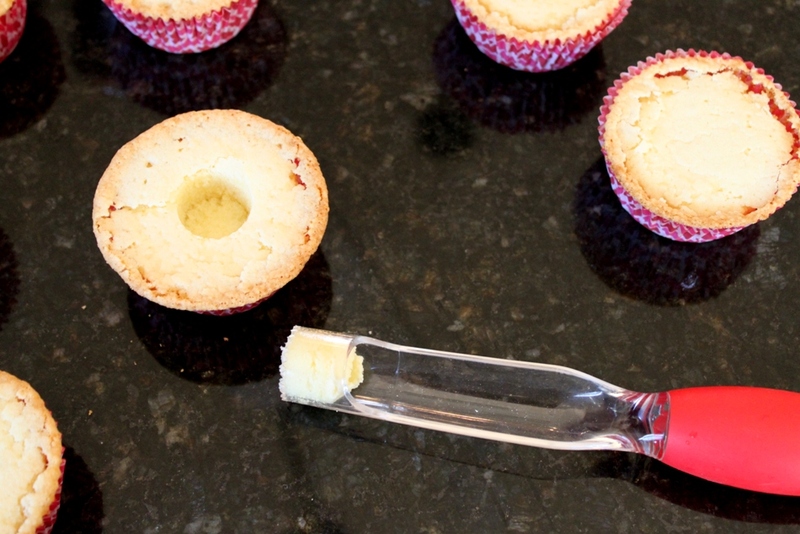 We chose a pound cake recipe because my issue with standard cupcake recipes is that they end up a little on the dry side, and don't even think about trying to eat them the next day - you'll need 4 glasses of water to get them down. Not so with pound cake. It maintains its moisture over a couple of days, and the flavor is just so buttery and delicious. Another thing that makes my heart flutter is the easy measurements for the recipe. It's a cinch to 1/2 or 1/3, or even 2/3 the recipe! When I made these last weekend, I made 2/3 the cupcake recipe below to end up with 2 dozen cupcakes. 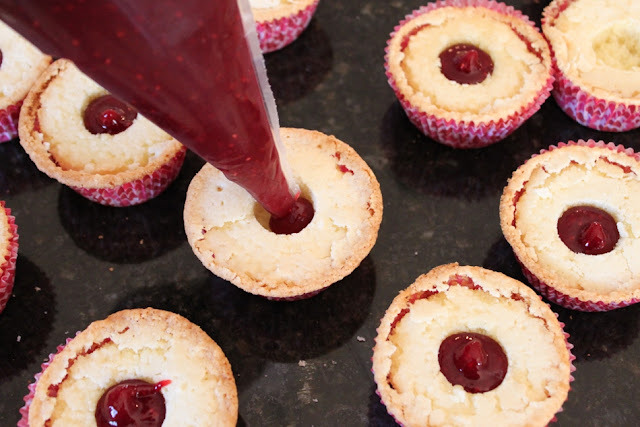 The Raspberry Filling is perfectly raspberry-punched without being overly sweet. I choose to leave a few of the seeds in (rather than strain them all out) so that the filling doesn't look imitation. I like it to look a little jammy and definitely homemade. And, that Cream Cheese Frosting is a hybrid of a standard buttercream frosting and a full-on cream cheese frosting, like you'd expect on a carrot cake. 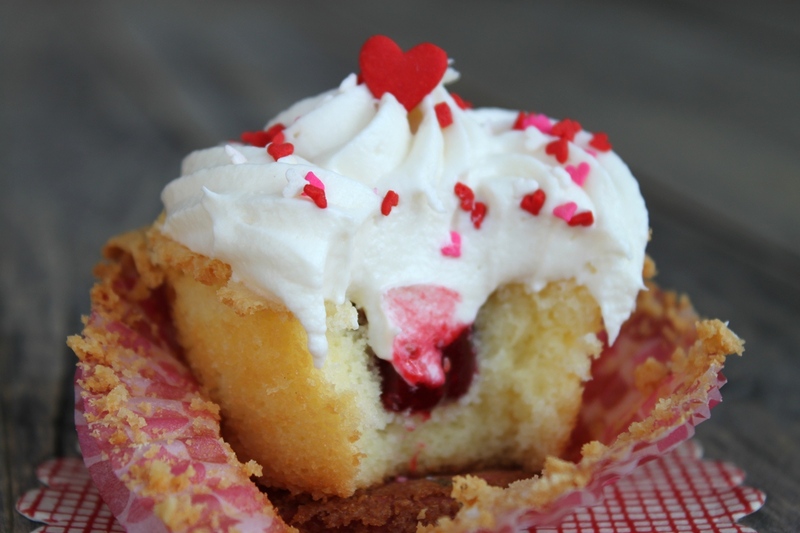 It adds a little bit of tart to contrast with the sweetness from the cupcake and filling, but it isn't so tangy that it overpowers the rest of your cupcake. I'm seriously so excited to share these recipes with you. They're so pretty and just perfect for Valentine's Day. They're a bit over the top, but definitely have that homemade, homestyle flavor that I think is essential for baking up treats to share. I hope you love them just as much as I do! In a saucepan, combine the raspberries, water, sugar, and lemon juice. Bring to a boil and simmer for 15-20 minutes or until the raspberries have broken down. Remove the mixture from the heat and strain with a fine mesh sieve. Return the strained mixture to the heat. Whisk the cornstarch slurry into the raspberry mixture. Bring the mixture back to a boil and simmer 5 more minutes, stirring occasionally. Remove from heat and cool completely. Will thicken like a jelly as it cools. 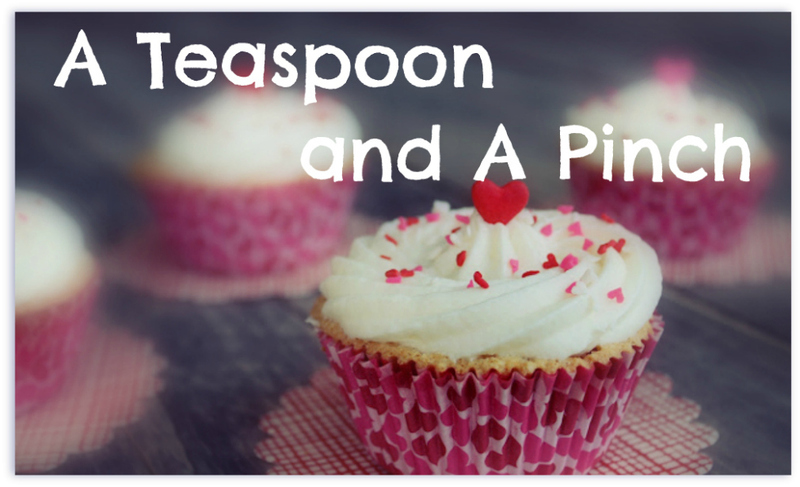 Makes about 1 ½ cups and fills 48 cupcakes. In a large mixer bowl and using the whisk attachment, cream together the cream cheese and butter until light and creamy. Mix in the vanilla, then gradually beat in the powdered sugar until smooth, scraping the bowl often. Will generously frost 24 cupcakes. I've used those cupcake filling tools, but my favorite tool is an apple corer. They work better, and you probably already have one on hand. 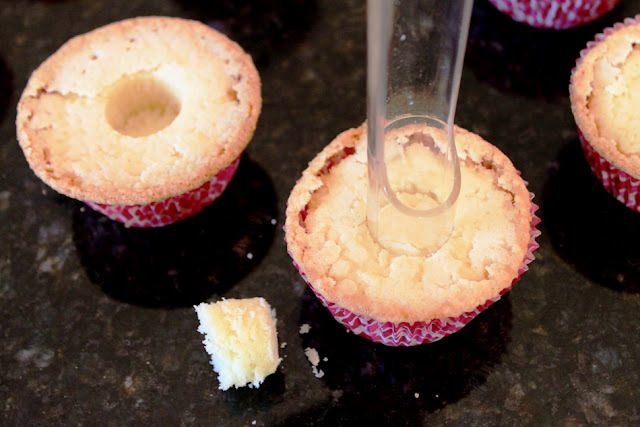 Pour your room temperature raspberry filling into a disposable pastry bag or large ziploc. 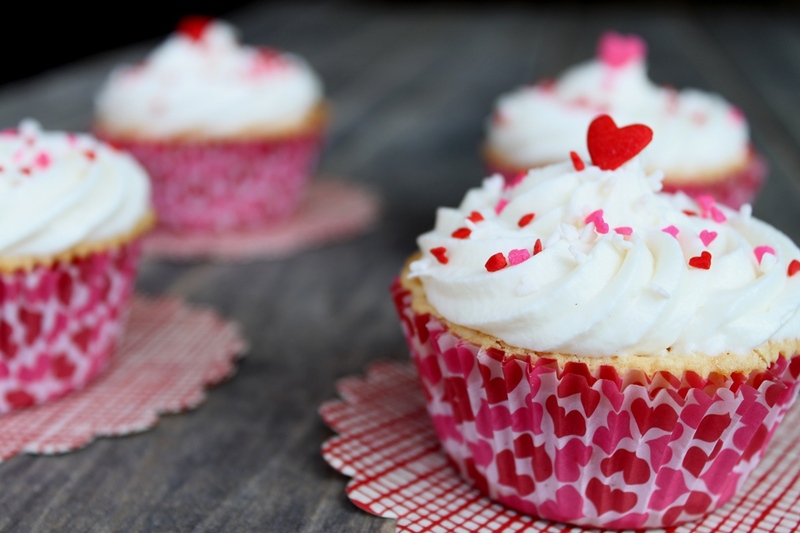 Fill cupcake centers just until level with their tops. Frost, and then take a bite and swoon from the amazing creation you just put together. Awww! If you look at my photos, you'll see that mine pulled away from the wrappers too. Pound cake bakes up differently than regular cupcakes. 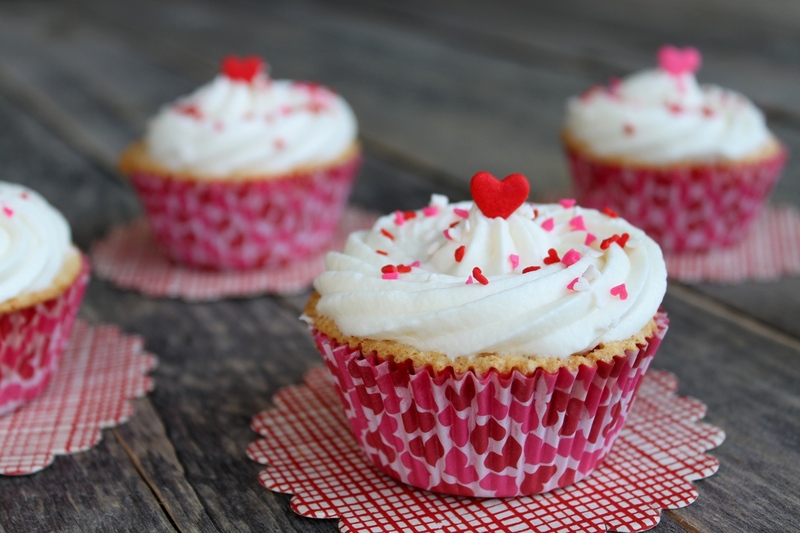 Frosting covers up the imperfections! Hi again! 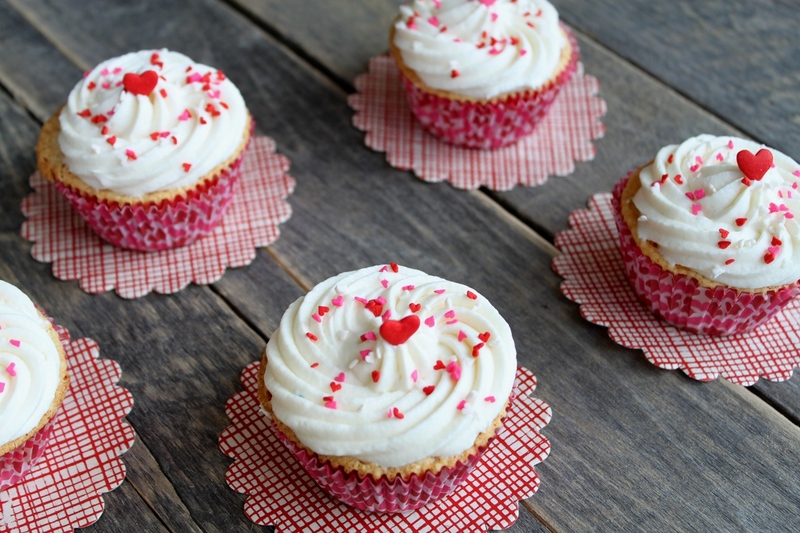 Have you ever tried adapting this recipe to be a layer cake instead of cupcakes? We are thinking of doing that, so I figured I'd ask! If not, no worries...I'll be sure to report back when we try it! Oohhhh... That sounds yummy! I haven't used this recipe other than for cupcakes, so definitely let us know how it goes for you. My only concern is that it might be tricky to get the layers together without crumbling? Can't wait to hear!! But beware....frying chicken plus tomatoes means both a mess and a last minute rush in the kitchen to get everything out in time (and still hot...cold fried green tomatoes are less than stellar).